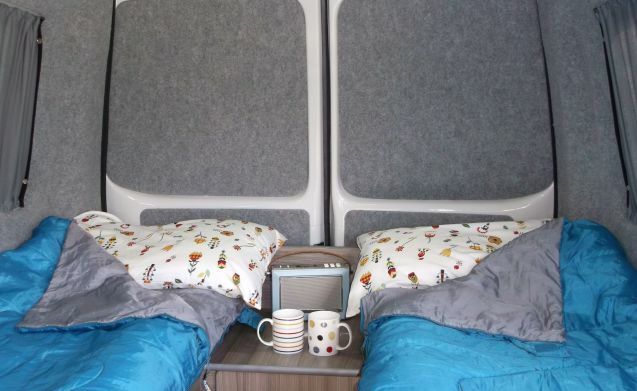 New Luxury 2 berth VW campervan ideal for couples or friends sharing, with a rear lounge that converts into a large double bed or 2 singles. 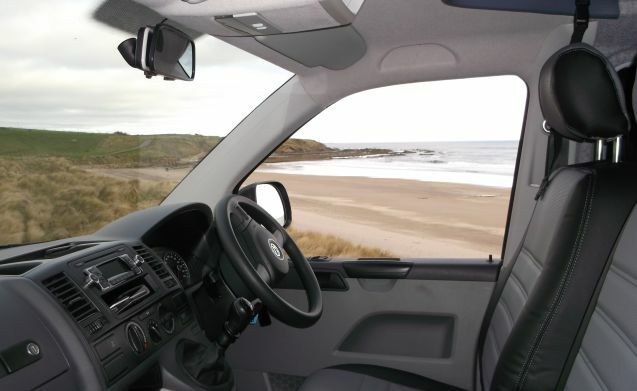 This compact vehicle is very easy to drive, park and is perfect for the roads in Scotland. 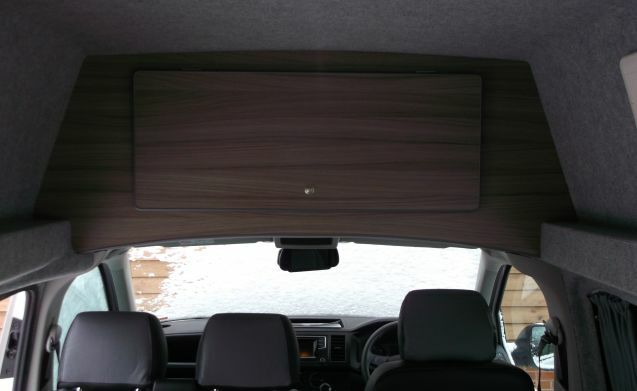 Standard features include satnav (GPS) and inbuilt reversing camera. 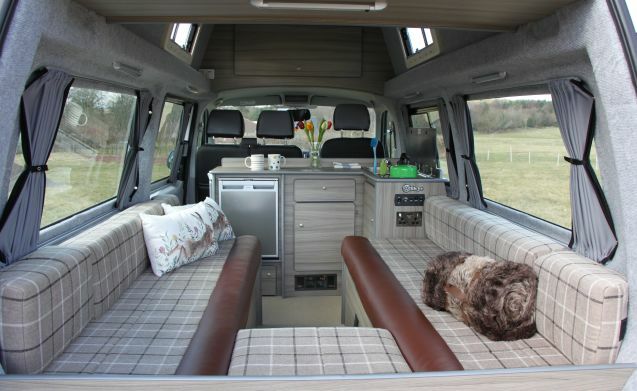 Skye is a VW T6 with a very fuel efficient engine, so very economical to drive. 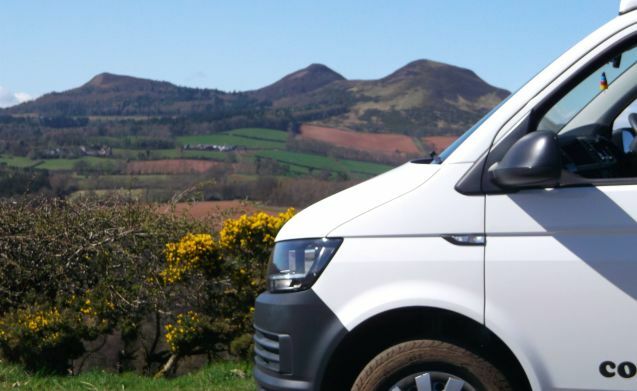 With unlimited mileage, you can explore to your heart’s content, so whether you wish to wander around the Scottish Borders, Lothians or Northumberland or go further afield to the Highlands and Islands, it’s your choice. 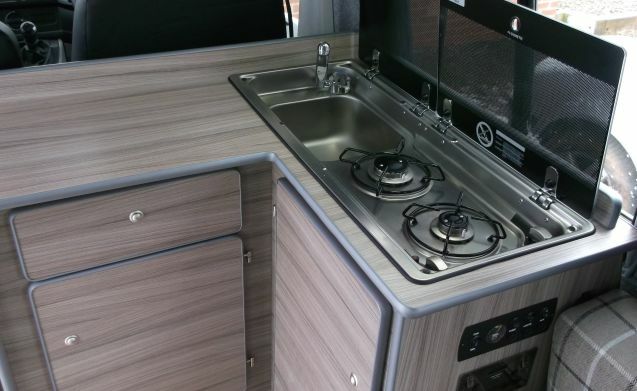 A modern fully equipped kitchen with a 2 ring gas hob, fridge, sink, crockery, cutlery, pans and a table. 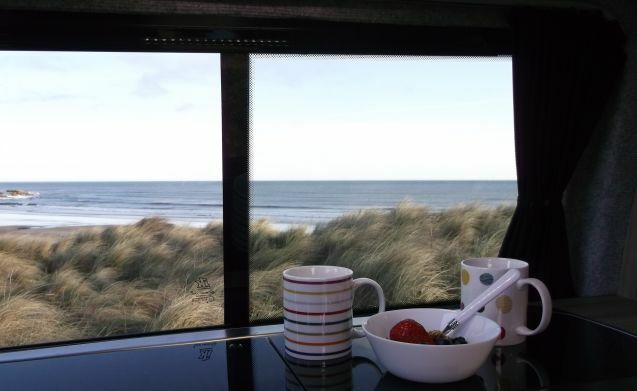 A Campervan Cookbook is provided for gourmet meals and snack inspiration! 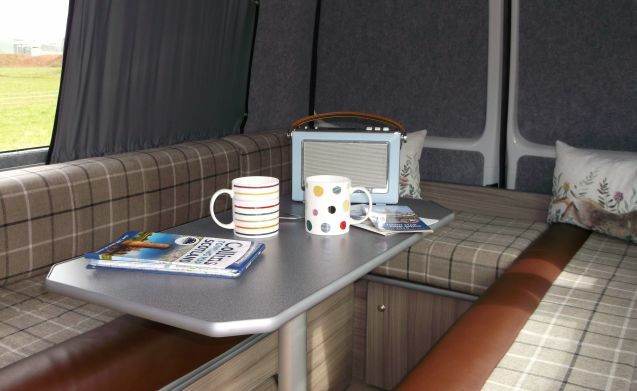 We include a camping table and chairs and gas BBQ for al fresco dining. A mains electric hook-up cable is included for when you’re on a site. Or for wild camping, a generous 12V leisure battery is fitted to provide electricity - you can even charge your mobile devices. Safety equipment is standard and includes a fire extinguisher, First Aid kit and Hi-viz vest. 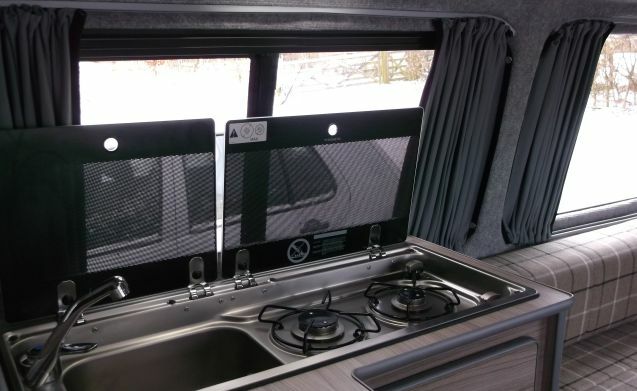 Optional extras include bedding, portable toilet and driveaway inflatable awning. 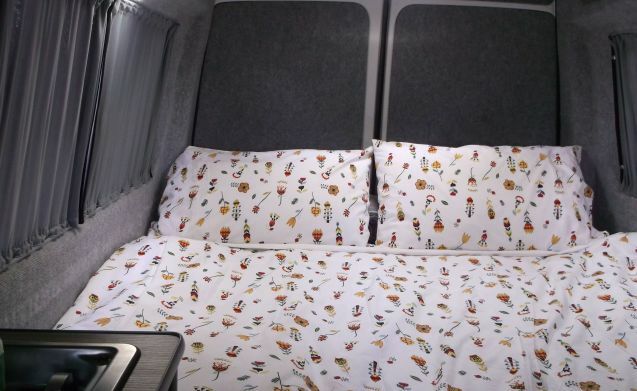 You can enjoy all year-round adventures, our campervans are fitted with blown air heating and are fully insulated, perfect for hiring in cooler weather – Christmas on the Isle of Skye, anyone? 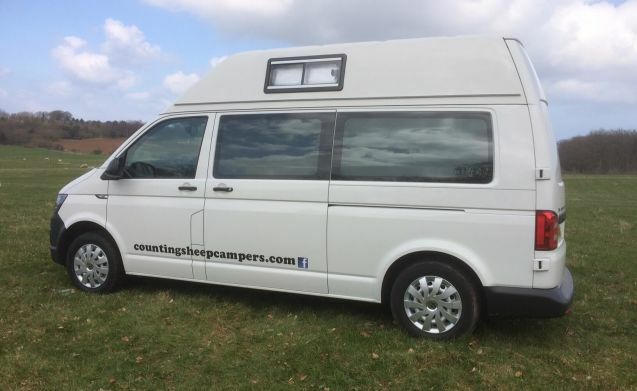 Also included is a Camping & Caravanning Club privilege membership as part of your hire with Counting Sheep Campers so you can their fantastic sites across the UK at members’ rates. You can leave your car with us at our secure parking while you are on holiday. 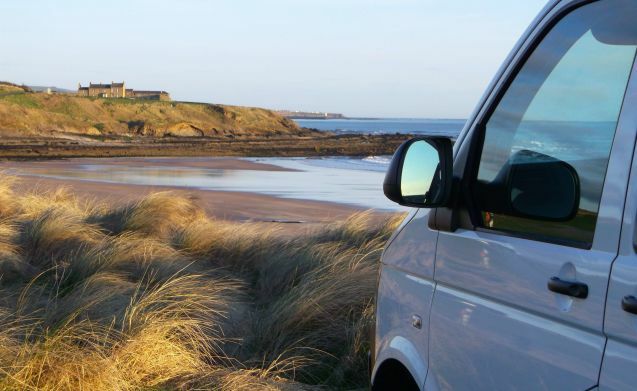 We also offer an Edinburgh or Newcastle Airport Meet & Greet service by arrangement, this is an additional cost service. We can meet your party at our local train station, Berwick-upon-Tweed, free of charge (approx. 40 mins journey from Edinburgh). Minimum hire period of 7 days. We will need to see scanned copies of Driving Licence and 2 proofs of address within 7 days of booking. You will also be asked about your driving history and health. Rental will not be confirmed or started without these documents and information being provided and being acceptable for our insurance. 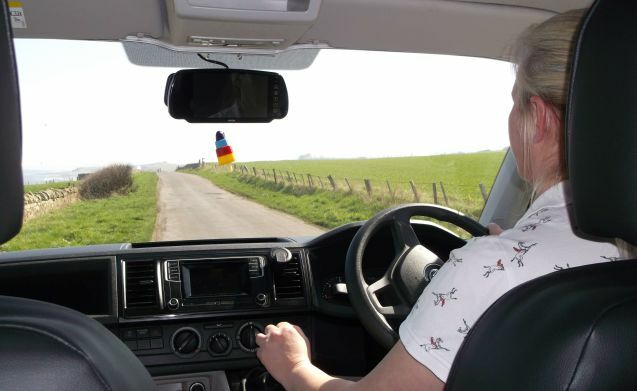 Drivers should be aged between 25-75 years old, have held a full Licence for 2+ years and ideally have no accidents or convictions in the last 5 years. 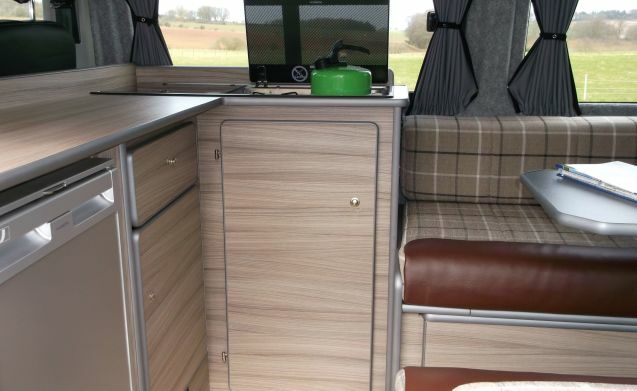 An £800 Security Deposit should be deposited into our Bank Account three weeks before your holiday - this will be returned to you after the end of the hire and the campervan being returned in clean condition with full tank of fuel, with no damage. Goboony is not liable or responsible for the handling of the Security Deposit. Late returns may incur additional charges, this is at our discretion. 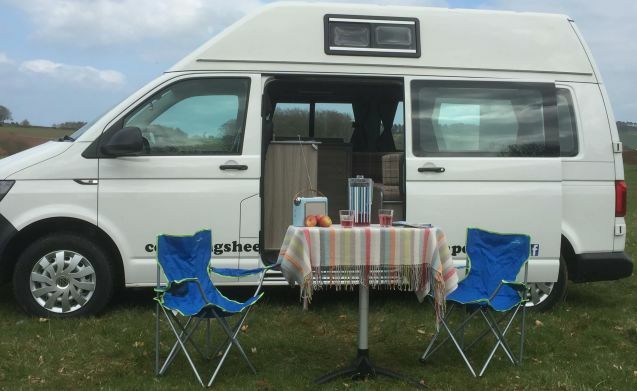 Response from Mark Thank you Thera and Ellen, we love that you had a great holiday in Scotland in Skye the campervan, enjoying Scotland in the summer sun! And thank you again for the stroopwafels, they are delicious! !